The fate of the existing state organizations, responsible for the innovative development of the Russian Federation – Skolkovo, RVC, Rosnano, etc. will be determined in the near future, perhaps, they will face a merger or liquidation. 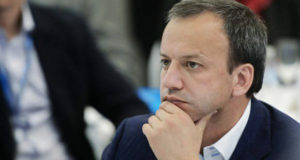 This was announced by the Deputy Prime Minister Arkady Dvorkovich after the meeting, which had been held by the Prime Minister Dmitry Medvedev.